Goats are super fun! Ever since those silly goat YouTube videos that were popular a few years ago, I’ve been a little in love with goats. That is why I chose it for my letter G animal. G, of course, has both the hard and soft sound, so there are always two animals you can use for this, giraffe and goat. In my set of animal alphabet crafts, however, I’ve just included the goat for now. 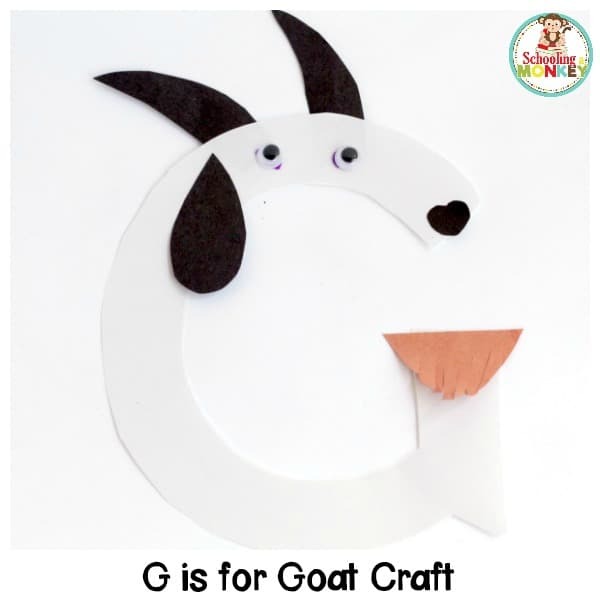 Don’t forget to snag the free letter G template to use along with this G is for goat letter craft. We made our goat white, but you can also use brown, black, or white, or any crazy color just for fun. 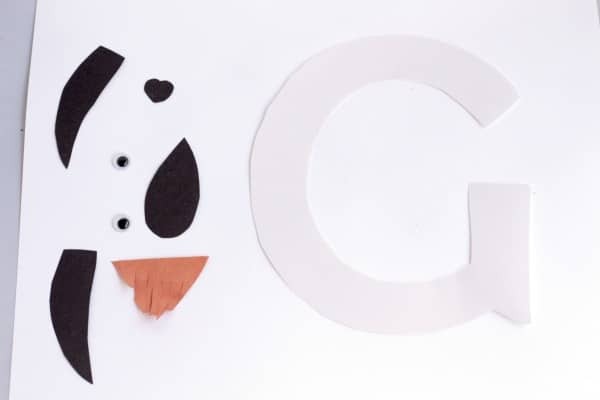 Don’t forget to download the letter G activity pack to go along with this letter craft! 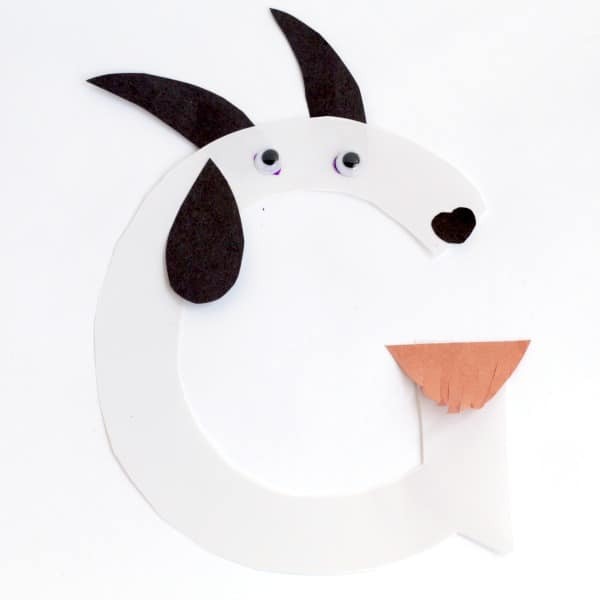 Kids will love transforming this letter G into the cutest little goat with an adorable beard. 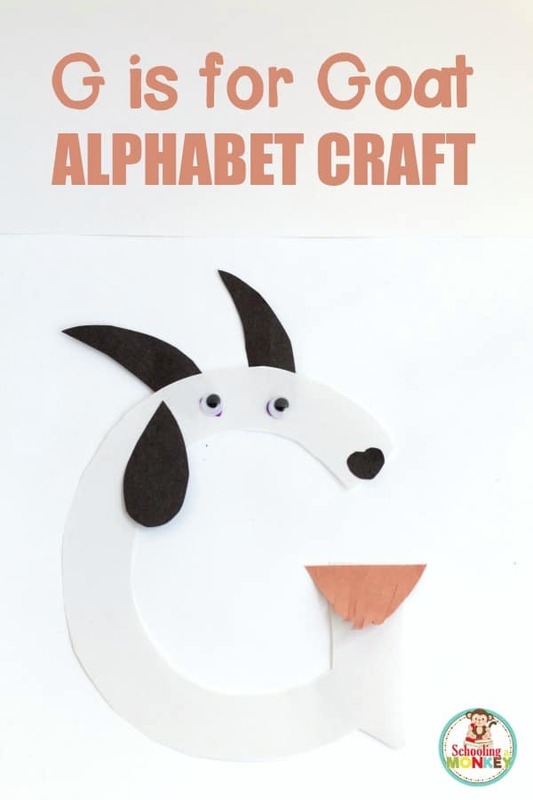 This goat alphabet craft is super simple. Setting up the craft is a cinch. You will need to cut out two horns, an ear, and a beard in addition to the letter G shapes. I like to cut out multiple pieces at once to save time. In this case, I actually printed the letter G template directly onto the paper and did not trace it onto any other paper. Give each kid the letter G, all paper cutouts, and a googly eye. Glue everything to the G. Put the beard at the crook of the G to make the opening look a bit like the goat’s mouth. It’s super cute this way. Once the goat crafts dry, you can display them in the classroom. Stringing the whole alphabet and using it like a classroom banner would be such an adorable way to display these! Add even more learning to this activity when you get the Letter G activity mini pack!